I made myself a few skirts. I was tired of feeling schlumpy all the time and all those Mabels I made weren't getting worn. It only took three and a half Mabels to realize that I should stop trying with that pattern - I just don't like it. 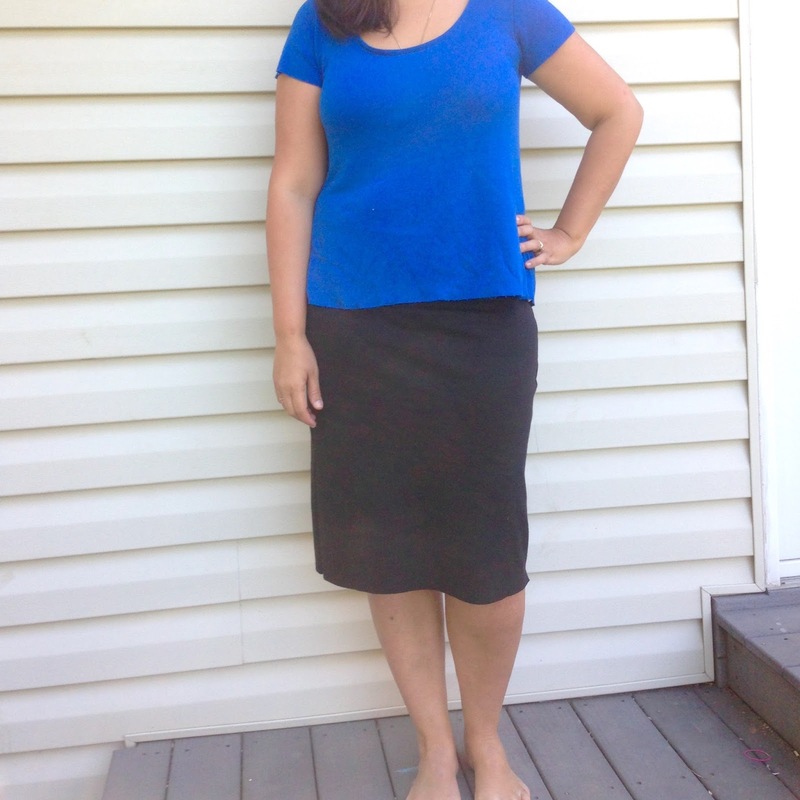 Anyway, a couple weeks ago, I remembered the Crafterhours knit pencil skirt tutorial. I made one of these three years ago after G was born, and I wore it constantly. The tutorial is very simple but very thorough. It directs you to draft a pattern using your own measurements, resulting in a beautifully-fitting skirt. It uses more measurements than many other skirt tutorials I have found online, which generally direct you to "measure around your widest point, choose your length, cut a rectangle, sew it up, ta-dah!" This skirt I drafted 19" long with an 8" waistband (after folding over and seam allowances, this leaves a 3.5" band). I can't decide whether to hem it. I like the length as it is but I also might like it an inch shorter. Decisions! After I finished that skirt, I immediately began working on a second one. This time, I modified my pattern to create side panels, ironically like Mabel's (I didn't realize this until after I had finished the skirt). I changed the shape of the skirt to a slight trumpet. The floral fabric is thrifted interlock and the side panels and waistband are more of the black ponte from the first skirt. I did hem this one (yay, coverstitch!). 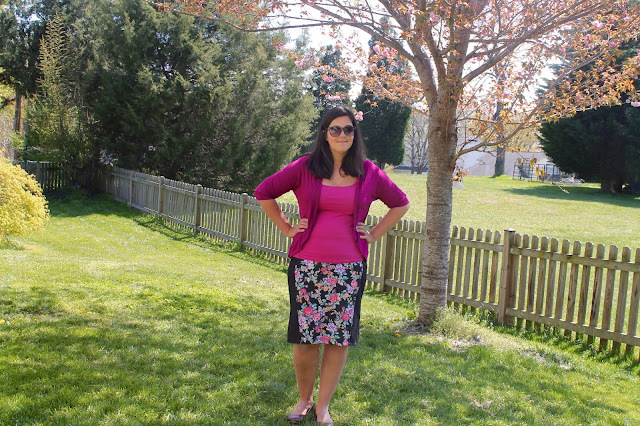 I don't have many tops that match the floral, so it doesn't get worn as much as the black skirt. It's funny how much time I wasted sewing skirts I didn't like from a pattern I paid money for, when I was able to create a skirt using my own pattern that was free. There is a lesson in there somewhere.